I do not discuss my lupus much here on the blog aside from the occasional mention. I was diagnosed at 15; I’m now 33. There just didn’t seem to be much to say that hadn’t already been said. Yesterday, however, we moved to the next “phase” treatment and I feel compelled to say something in this juncture. For 18 years, I have lived in the “lupus inbetween,” vacillating back and forth amidst periods of exacerbation and stability. Though the initial years were horrible and my pregnancies rough, I haven’t required much more than a maintenance drug, some pain pills, and steroids to get through flare-ups for about 15 of those 18 years. While not pleasant, it could have been much worse for me. I know people who were diagnosed in recent years that have required more aggressive treatment than I ever have. It’s like they say, if you’ve met one person with a chronic illness, you’ve met one person with a chronic illness. Every lupus patient is different. The last six months, however, have been incredibly difficult. At my last visit to the rheumatologist, he remarked on the “miracle” of me going 18 years without requiring more, even as he pumped my veins full of solumedrol and sent me home with oral steroids. This has been required at every visit since December of last year, so when I went in yesterday, I thought maybe I was in for more of the same. I was wrong. To make a long story less long: the doctor suggested that we move to a chemotherapy drug to treat the next “phase” of my lupus. She ultimately left it up to me after explaining all of the pros and cons. She gave me a tutorial via analogy about the mechanism by which the drug works in lupus patients. She reassured me that my dosage will be but a fraction that of cancer patients’. Then she told me that I will have to be monitored closely and have blood levels checked more often. It will likely wipe me out, make me nauseous, and cause other unpleasant side-effects the day after I take it. It will take a full 6-8 weeks before we see it working. She explained this was the next best option and that it’s not as bad as it sounds. I took my first dose last night, slept like the dead, and woke feeling more exhausted than when I went to bed. I feel sick and my head hurts. But if this helps the lupus and the side effects diminish over time (and are only limited to one day a week), it’s a trade-off I might be willing to accept. Many people have read the spoon theory analogy of chronic illness. I recently reread it and began to feel uncomfortable with the “holier than thou” tone toward the end. Yes, I want people to show empathy to those with differences whether they be physical, emotional, mental, neurological, etc, but I think maybe the spoon theory rather leaves the healthy reader feeling pity instead. The analogy of spoons is apt (everything you do each day costs you “spoons” and people with chronic illnesses begin their days with far fewer “spoons” than do healthy people making it very difficult to get through each day). Yet, the presentation delves far too deep into the “woe is me” factor and definitely puts the burden of guilt on healthy folks who should not feel guilt over their well-being any more than I should over my lupus or my son should over his autism. When I was a teenager and in my early twenties, it didn’t occur to me that I was placing this heavy load on my loved ones by sharing it with them. Now I feel some strange form of reverse guilt about it. Yes, I’m in pain every day, but I don’t need to make other people feel bad about it and I definitely don’t want them feeling sorry for me or for anyone with differences. I’m living my life and so is everyone else. We’re all doing the best we can to get through each day. Chronic illness is hard, but perhaps even harder than that is just living in this world. As we go through the hard work of living, we’re all in the same boat, doing the best we can, with the help and company of others along the way. By the grace of God, we make it through even if we feel like we are only muddling along. I guess what I’m really saying is that we have to be brave, friends. With or without sickness in our lives, God has given us life (or, if you prefer, some cosmic accident, or universal-mechanism brought us into being), and we must live. Photograph by Mark Hogancamp. Linked to Travis Gettys’ article at RawStory.com. There is a meme going around on the internet with a photo that is inaccurately attributed to being a real photo of U.S. soldiers in battle. The meme is meant to remind folks of what “real” bravery is, lest they mistakenly believe that someone coming out as transgender (such as, in this case, Caitlyn Jenner) is heroic. 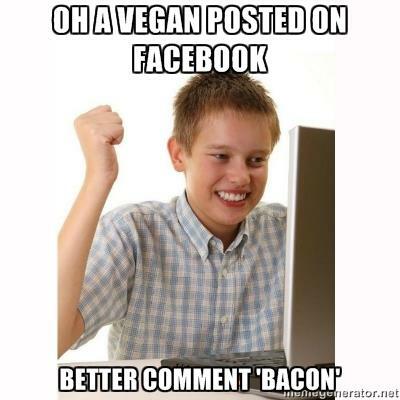 The article by Travis Gettys at RawStory attesting to the inaccuracies of the meme is here. Why are we fixated on this idea that there is only one kind of bravery? Truly, many military members, police officers, and rescue workers are brave. Yet, it does not lessen their courage and heroism to state that someone else is brave for different reasons. What of the special needs child who, though frightened, bravely faces a new challenge? What of the cancer patient who undergoes painful treatments so that she might live longer for her family? What of the man who finally admits to himself and the world that he is homosexual knowing he may not find the acceptance and love he so rightly deserves? What of those persons in the Middle East protesting for their freedom knowing that with every word they put their very lives at risk? I had an insightful seminary professor whose words planted in my mind and heart seeds that are still sprouting. She once reminded our class, “You can only see from where you stand.” These words have been at the fore of my mind since I heard them, but never have they been as important as on weeks like this. My only “issue” with Caitlyn Jenner springs from the understanding that perhaps she wasn’t as honest with her ex-wives and children as she could have been. And yet, I can’t judge or cast aspersions because I can’t possibly imagine the complex cacophony of emotions involved with living the vast majority of her life feeling like she was born with the wrong physical body, especially in the era she was raised. I pray that people like Caitlyn find peace in finally becoming (in body) who they have always been in mind and spirit. I also pray for the families who have to cope with the implications of these truths to a degree none of us can really understand. The bible doesn’t discuss transgender issues, but I’m seeing a lot of comments from folks who are trying to make sense of this from a biblical perspective. Many are confused. I sympathize with that struggle, though I think perhaps some are over-thinking it. We want to believe that God doesn’t make “mistakes.” I’m not sure God did; Caitlyn has always been exactly who she is deep down. It’s just that she has finally developed the courage to express that truth to the world. In fact, while God may not make mistakes, we know nature does. We do not always know why people are born with bodies contrary to what is typical. My son was born with autism. I developed lupus at the age of fourteen. My best childhood friend died of cancer at the age of seven. Caitlyn Jenner was born in the wrong body. Some people are born with both sets of reproductive organs. Some people are born missing limbs or other body parts. Some people get grey hair in their teenage years. None of this makes any sense in our limited human understanding. For better and sometimes worse, people go to great lengths to make their outsides match their insides. Children who are born with birth defects have them repaired, if possible. We treat physical and mental illnesses that interfere with our ability to function in the world. People have cosmetic surgery, dye their hair, wear makeup, get tattooed and choose clothes that help them project an image more consistent with who they are in mind and spirit. Yet there is nothing inherently wrong with any of us. We are all just trying to live our best and truest lives. Christians are not called to judge or look down on anyone; we are called to love. There is no caveat to Christ’s most important two commands: love God and love others as yourself. Period. I pray that, as we all try to make sense of the world from where we stand, Christians heed this call to love by eschewing the instinct to judge and condemn, instead expressing the compassion within. The time has come for “Top ___” lists and I’m trying to get at least one of them up before 2014 is over. My good buddy, Jordan, will not let me forget all the years that my lists have come late and I’ve promised him to get these up sooner than later. 11. Horrible Bosses 2 – This is really more “honorable mention” territory. I saw this movie for my birthday and it was just good, clean dirty fun. It helped to see it with some of my favorite people from back home and just have a hearty laugh. I found it better and funnier than the first. Had I been in a different mood at the time, maybe it wouldn’t have made the list, but I’m glad I saw it when I did. Jennifer Aniston just knocks my socks off in the role. Everyone says she’s not “diverse” enough, but come on. This is great stuff! 10. The Lego Movie – Oh, Chris Pratt. You make everything better, especially my beloved Legos. 9. Maleficent – I feel like this was Angelina Jolie’s year. She infused Maleficent with such humor and devious charm adding heart and emotion to the caricature of Maleficent that we see in (my favorite Disney animated film) Sleeping Beauty. I genuinely adore this film and its ability to surpass Maleficent’s long historical misunderstanding to show us the lighter side of the woman, the terror, the legend. 8. Wish I Was Here – A welcome addition to the Braff filmography. I have always loved his films and this is no exception. I was sorry to see that it didn’t do better in the theaters, but am so thankful to have seen and enjoyed it. I only wish I’d known sooner of the Kickstarter campaign for it and could have been a part of that. I love getting on board those types of projects. 7. 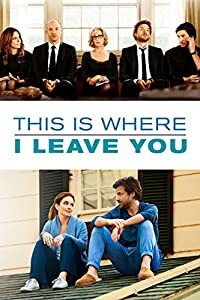 This is Where I Leave You / Begin Again – I’m lumping these two together because they are essentially about growing up and finding oneself despite their very different settings (suburbs vs. city, family dynamics vs. navigating the perils of love and career). I could not have appreciated more the complex emotions portrayed in each production. I just so genuinely enjoyed both casts in their entirety. 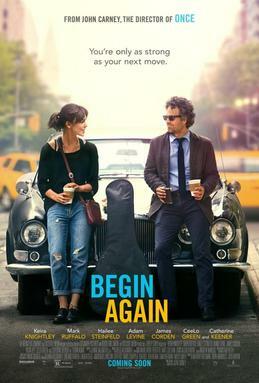 If I had to, I might give the edge to “Begin Again” because I can’t get enough Mark Ruffalo. Ever. 6. 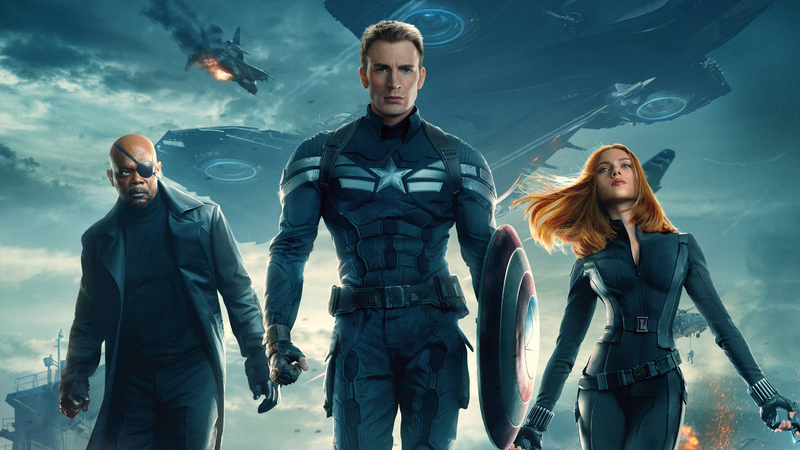 Captain America: The Winter Soldier – Marvel Cinematic Universe films make me happy. They just do. DC films make me introspective and gloomy (though I do love them), but MCU is just different. They have a different vibe. MCU gets it. They get me. The Winter Soldier’s tie into into Marvel’s Agents of SHIELD definitely helped pique my interest in seeing it AND elevated my love for the story. The wonderful thing about this movie, and most of the MCU films, is the heart behind and weaved throughout the story. This one was really an ode to the love we find in genuine friendships like that between Steve Rogers and Bucky. 5. 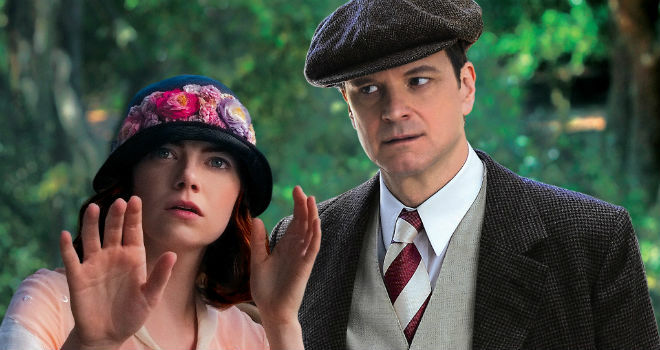 Magic in the Moonlight – Woody Allen. Colin Firth. Emma Stone. Hamish Linklater. Enough said. 4. Guardians of the Galaxy – There has not been a superhero film this good since “The Avengers.” It was so good, in fact, that my husband even liked it. That, in itself, speaks very highly of its appeal and ability to bend genre and reach across the superhero/non-superhero fan divide. James Gunn’s script was flawless, as was every single performance in the entire movie. And, honestly, how are you not a Pratt-fangirl/boy by now? 3. Veronica Mars – This is really a no-brainer. I was a contributor to this film on the first day of the Kickstarter campaign. For us “Marshmallows,” it was really the perfect closure for Veronica’s story with just enough open-endedness to leave the hope for a follow-up film. The movie even appealed to my grandmother, who has never seen the show and is decidedly outside of the target demographic. Well done, all. 2. The Grand Budapest Hotel – A year in which a Wes Anderson film doesn’t make my list of favorites would be a sad year, indeed. This was, perhaps, my absolute favorite of all of his films. Ingeniously told and brilliantly performed. The wisdom in the addition of Ralph Fiennes to the Anderson cast line-up cannot be overstated. 1. Interstellar / Unbroken – In the final analysis, each of these films is about ultimately about hope with emphases on other prescient and vital life virtues. As I sat down to write this list, I really could not decide which to put at the top. Interstellar was such an imaginative and far-reaching endeavor with each cast member putting forth among the greatest performances of their respective careers. I have never seen a Nolan film I didn’t genuinely love. I tell you truly: this is my favorite of his epics. Matthew McConaughey just keeps taking his craft to new levels of brilliance. As for Unbroken, as I said, I think this was Jolie’s year. Her eye for detail and ability to bring the truth of Louie Zamperini’s story to the screen is unsurpassed in its flawless emotional honesty. Jack O’Connell is my breakout star of the year. I’m so glad that Louie, himself, was able to see his larger-than-life story brought to screen before he passed. This one serves to bring us all hope and to display the transformative power of grace, mercy, and forgiveness. There were a great many films I did not get to see this year, but I saw enough fantastic ones that I felt comfortable making my list this year without having seen everything. Among those I missed this year but hope to see before the Oscars: Boyhood, Selma, Into the Woods, Big Eyes, Cake, Nightcrawler, Fury. Had I seen all of those, I can imagine my above list would have been MUCH longer than it was.